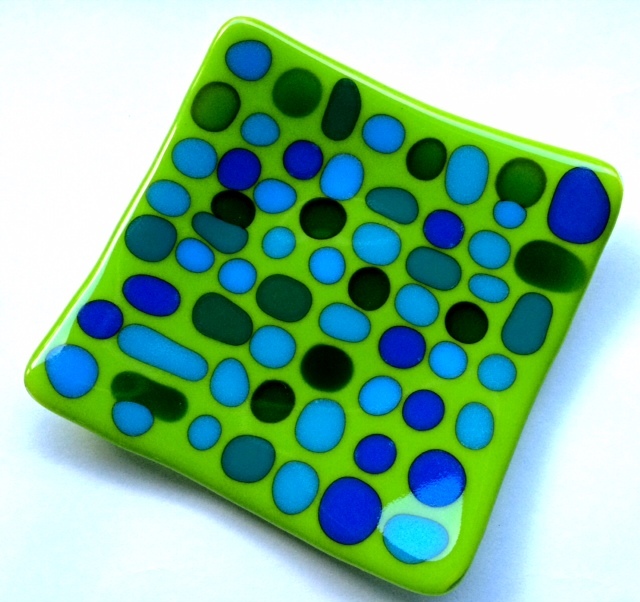 Create your own beautiful fused glass plate in one fun two-hour session. Students of all skill levels will cut and layer glass, use frit and stringers and produce a beautiful 6 x 6 plate or 4 x 8 dish. You design and create the work of art and leave it for us to let the kilns work their magic. Come back two weeks later and be prepared to be amazed.